Seven spring sports teams (women’s golf, men’s golf, men’s tennis, women’s tennis, women’s lacrosse, men’s track & field, women’s track & field) made the NCAA Championships this year. CMS had four teams finish in the top-10 nationally. The women's golf team ended the 2017 season in eighth nationally, the program's highest-ever finish at the NCAA Championships. The team total score of 1262 is also the lowest in program history at the NCAA Championships. Margaret Loncki ’18 finished in a tie for fifth individually. The Claremont-Mudd-Scripps men's golf team concluded their run through the NCAA Championship tied for 12th place as the Stags played their lowest-scoring round on the final day with a 298. The CMS women's lacrosse team fell 15-12 to regional rival Colorado College in the second round of the NCAA Championships on May 14. The game was tight throughout the first half, but then when the Tigers scored three in a row to start off the second half, the Athenas' late rally was not enough to pull out the tournament victory. CMS ends this season with an impressive 16-2 record, the best mark in program history. The Athenas finished in a tie for eighth place at the NCAA Championships, while the Stags ended in a tie for 25th. Three CMS all-time records were broken by performances this year at nationals. The individual performances were highlighted by Emily Bassett '18 who finished as the national runner-up in the hammer throw, Cam Van '17 who took fourth place in the triple jump, Joshua Sealand (HMC '17) who finished in fourth in the 1500 meters, Tyra Abraham (SCR '18) who finished in fourth in the 100 meters, Carmen Mejia (SCR '17) who took second in the 800 meters, and Vaiva Palunas (SCR '17) who finished in fifth in the hammer. The Stags finished the team portion of the season as the NCAA Division III national runner-up. In the national championship match, CMS fell 5-2 to Emory University on May 24 in Chattanooga, Tenn. This marked the fourth time in five years that the Stags have played for the national championship, last winning it all in 2015. To reach this year's championship match, CMS defeated Texas-Tyler 5-1 in the second round on May 12, defeated Trinity (Texas) 5-0 in the third round on May 13, swept away Wesleyan (Conn.) 5-0 in the quarterfinals on May 22, and pulled off a comeback 5-4 win over Middlebury on May 23. In the singles tournament, Nikolai Parodi '20 made the finals and finished as the national runner-up. With a perfect 29-0 record and No. 1 national ranking, the Athenas advanced to the semifinals of the NCAA Championships after winning its second round match over East Texas Baptist University 5-0 on May 13, upending Pomona-Pitzer in the third round 5-3 on May 14, and defeating Washington University St. Louis 5-1 in the quarterfinals on May 22. In the semifinals, CMS fell 5-1 to Emory on May 23 which concluded the team portion of the season. 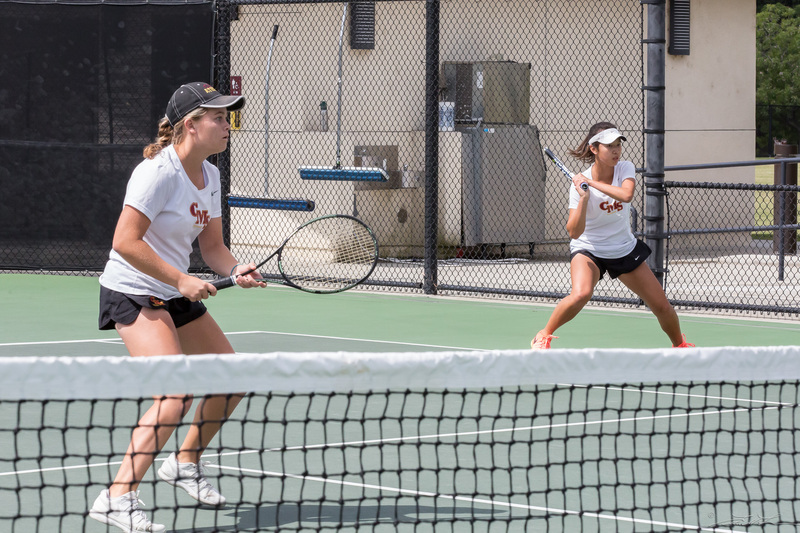 In the doubles tournament of the NCAA Championships, Lindsay Brown '18 and Nicole Tan '20 advanced to the finals and finished as the national runner-up.